The town of Montfermeil proposes an unforgettable evening of sound and light with the show La Dame aux Camélias. 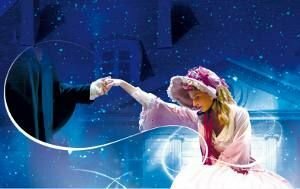 A huge success, proposed in 2015 and 2016 (more than 4000 spectators in 2015) will come back on stage for those who did not see the show or for those who want to watch the show again. More than 300 people are present between the stage and backstage to offer you a high quality night show with riders, horse teams and 3D technology and decors. La Traviata de Verdi will accompany you to punctuate the key moments! A little history : You are in 1845 and Marguerite Gautier, a former linen maid, makes her way into the world of Parisian bourgeoisie thanks to her beauty and youth! She is witty minded and plays on her charms with men, becoming a courtesan who uses and abuses her power. Everything changes during an evening party! Marguerite meets Armand Duval and falls in love. Yet this passion will be upset, broken because of the bourgeoisie constraints, the family – what one would not do for love... Marguerite so flighty yet tough makes a gesture of love for her beautiful lover. The nocturnal Sound and light show is open to everybody. It is a family show of about 1 hour and a half - suitable for children from the age of 6 years old. The Ticket desk for all public is open and tickets for groups are also available. On the day of the show, a ticket desk will be open at the entrance of the site, for dinner from 6:15 p.m. to 8:00 p.m., for the show of 8:45 p.m. to 9:30 p.m. (depending on tickets available). Are you planning a full evening out for dinner in a Parisian gourmet restaurant and a show? It is possible but do not forget to book in advance. 3 restaurants at Montfermeil propose Diner and show.